Lock in a great price for Marabá Palace Hotel – rated 8.6 by recent guests! The Hotel is good. The area is good during the day but not safe to walk around at night. There are lots of restaurants, bars and takeaway facilities around. Everything was good. Clean and spacious room with good wifi. Breakfast was good with many choices of fruits. Very central and staff are nice as well. It is a lovely hotel, the only problem is the surrounding area at weekends, it gets dodgy with beggars and muggers. Comfortable rooms, excellent shower and facilities. O café da manhã é bom, com variedade. Os quartos são simples mas limpos, O antedimento é bom, prestativo. Os funcionários são educados, logo tentaram nos mudar de quarto, deram dicas de segurança para andar pela região. 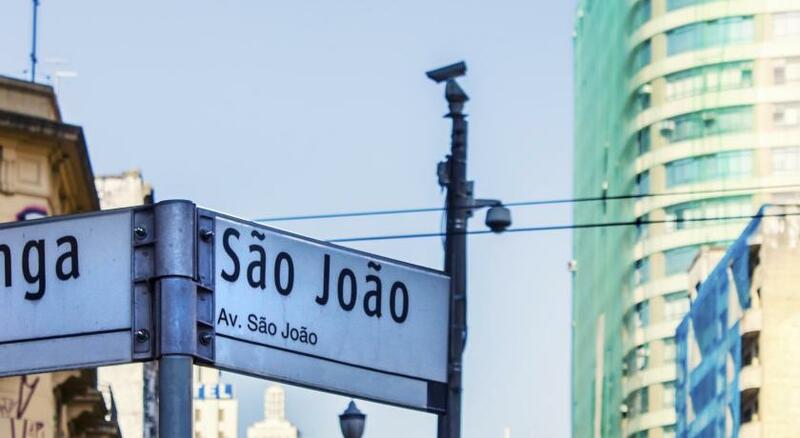 Apesar de ser bem localizado, o tempo todo somos abordados por moradores de rua, é preciso ter muito cuidado. O tamanho do quarto e do banheiro da ala nova é bom. Apesar da localização o hotel apresenta boas acomodações, serviços e atendimento de qualidade. Infelizmente o entorno não é muito convidativo se não conhecer bem os trajetos ou locais a frequentar. Marabá Palace Hotel This rating is a reflection of how the property compares to the industry standard when it comes to price, facilities and services available. It's based on a self-evaluation by the property. Use this rating to help choose your stay! 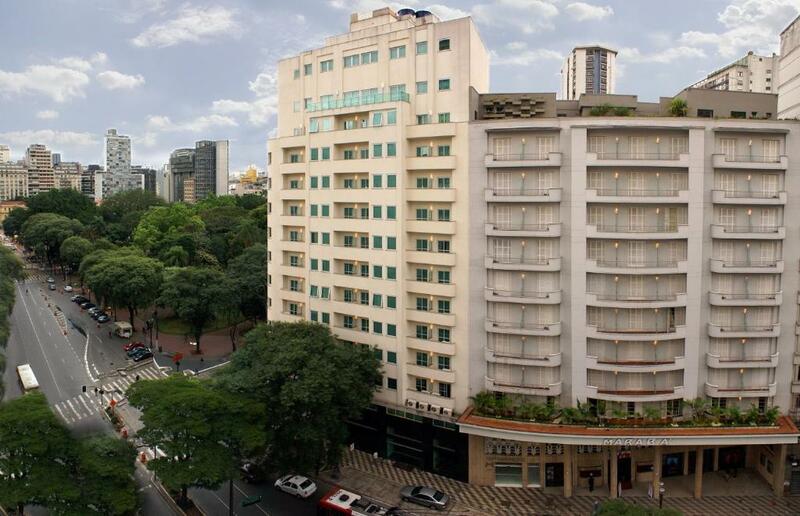 Marabá Palace Hotel is located in the center of São Paulo, just 1,000 feet from Republica Metro Station.Free WiFi is available in the public areas. Each air-conditioned room features heating, a desk, a flat-screen TV with cable channels and a mini-bar. The private bathroom is fitted with a hot shower and free toiletries. Marabá Palace’s restaurant offers international cuisine and a varied buffet breakfast. 24-hour room service is also available. Guests can go to the famous and neighboring Bar Brahma for cold beers and samba music. Guests can relax in the sauna or work out at the on-site gym. Hotel Marabá Palace also features an outdoor terrace where the tropical Brazilian temperatures can be enjoyed. 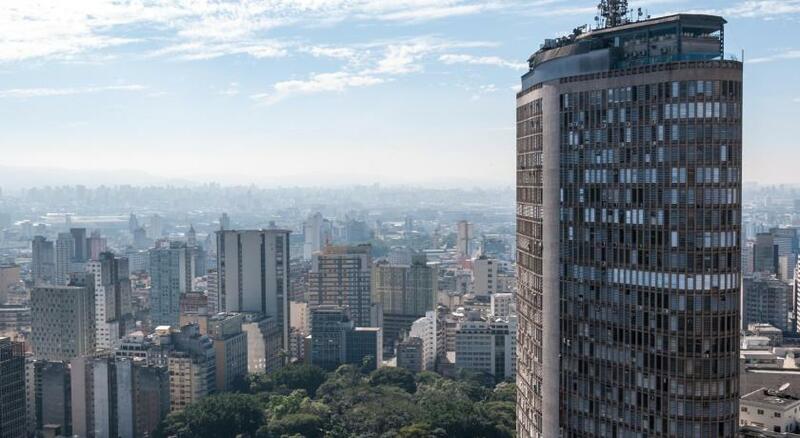 The hotel is located on the corner of São João and Ipiranga Avenues and near Republica Square and Edificio Italia building, where amazing panoramic views of the city of São Paulo can be admired. This property is also rated for the best value in São Paulo! Guests are getting more for their money when compared to other properties in this city. 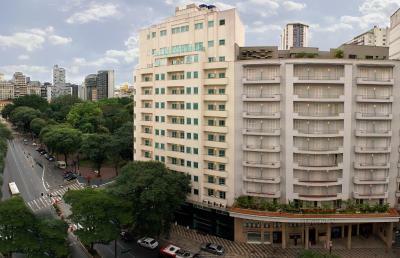 When would you like to stay at Marabá Palace Hotel? This air-conditioned room features heating,a safe, a flat-screen TV with cable channels, desk and a mini-bar. The private bathroom is fitted with a hot shower and free toiletries. Public parking is available at a location nearby (reservation is not needed) and costs BRL 30 per day. House Rules Marabá Palace Hotel takes special requests – add in the next step! Marabá Palace Hotel accepts these cards and reserves the right to temporarily hold an amount prior to arrival. Always asking to add bafroom utilities. I can't thought of anything. Not their concern really, safety around the area is poor.